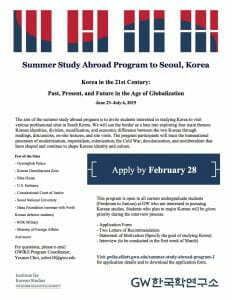 This information session will provide both general information and important program details for undergraduate students who are interested in applying for the Summer Study Abroad Program in Seoul, Korea. Professor Jisoo M. Kim, the Director of GW Institute for Korean Studies, will be giving an introduction to the program and Q&A session will follow. All students are welcome and the students who are interested in applying for the program are highly encouraged to attend this information session. 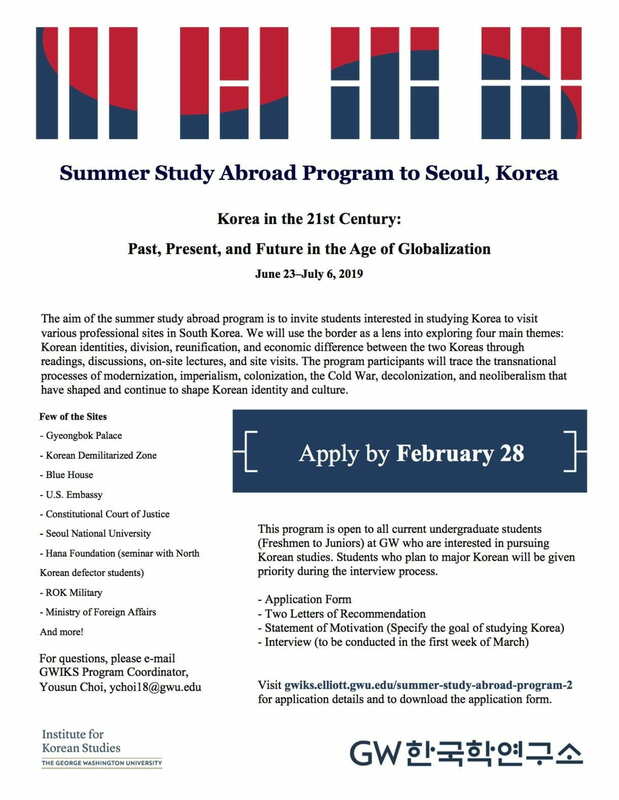 Please refer to the application instruction below, and email questions to GWIKS Program Coordinator, Yousun Choi, ychoi18@gwu.edu. Visit GWIKS website for application details and to download the application form.